Ranger Glossy Accents 2 fl oz is a clear, three-dimensional gloss medium. 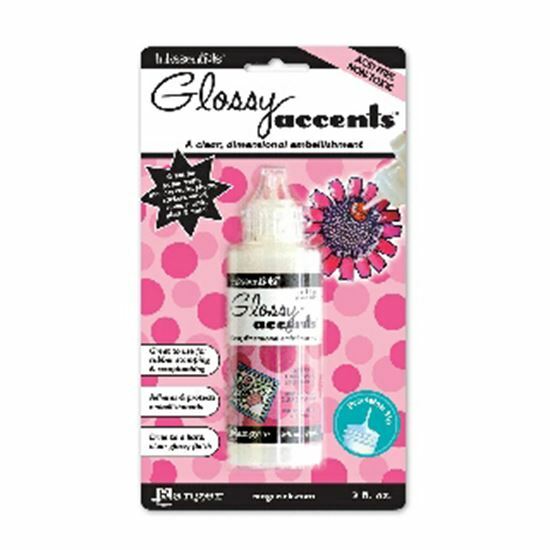 Use to accent, brighten, dimensionalize and magnify distinct areas on any scrapbook page, rubber stamped image, paper craft or home décor project. Place Glossy Accents™ under embellishments to make them stick and on top to protect and glossify! 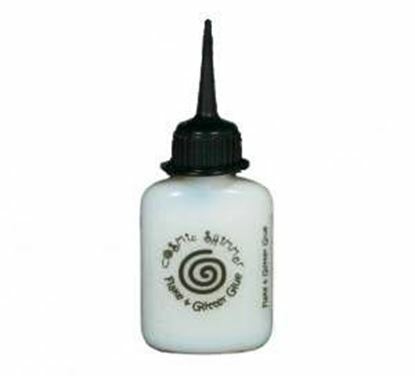 Acid free - Non-toxic - Dries to a hard, clear finish - Adheres & protects - Precision applicator tip - Great for scrapbooking and altered art.